Latvia officially is the Republic of Latvia located in Northern Europe region known as the Baltic region. Latvia is one of the three Baltic countries that is bordered by Lithuania on the southeast, by Estonia to the north, Belarus in the southeast and Russia in the east. Latvia is also maritime bordered in the west alongside Scandinavian country Sweden. Latvia has around 2 million residents, and Latvian territory is 64,589 kilometers per square. The capital, as well as the largest city of Latvia, is Riga. Ethnic groups include various nationalities like Russians 24.4 percentage, Ukrainians 2.2 percentage, Lithuanians 4.8 percentage, Belarusians 25.4 percentage, Poles 2.1 percentage and of course Latvians 62.0 percentage. The official language in Latvia is Latvian while other languages like Russian are also spoken. Latvia is a parliamentary republic that is established in 1918.The capital city of Latvia Riga is also voted as the European Capital of Culture back in 2014. 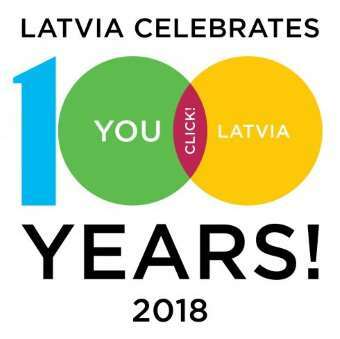 Latvia as a unitary state is divided into hundred nineteen administrative divisions, and hundred ten of these divisions are in fact municipalities and the rest nine of them are cities. Livs and Latvians are indigenous residents of Latvia. It should be noted that Lithuanian and Latvian languages are only two Baltic languages that survived. The Latvia nation maintained its identity even though various foreign rules form the thirteenth and twentieth centuries. The Latvian nation maintained its identity through the generations via their language and unique musical traditions and overall cultural heritage. It should be noted that Latvia and other Baltic country Estonia share very long common history. The Russian rule from 1710 until 1918 as well as later Soviet occupation, both Latvia and Estonia became homes for a great number of Russian citizens, and the percentages are 25.5 in Estonia and 26.9 in Latvia. Also, some of the Latvian residents around 14.1 percent of them haven’t received citizenship, so they were left without any citizenship. Latvia also was home for a great number of other minority groups including Jews and Germans until World War II. Speaking of religious, Latvia historically speaking is predominantly Protestant Lutheran except for Latgale area that has been predominantly Roman Catholic. Also, the Russians that came to Latvia have brought a great portion of Eastern Orthodox as well. Even though The Republic of Latvia was established on eighteenth of November in 19189, Latvian de facto independence was interrupted since the World War II has started. 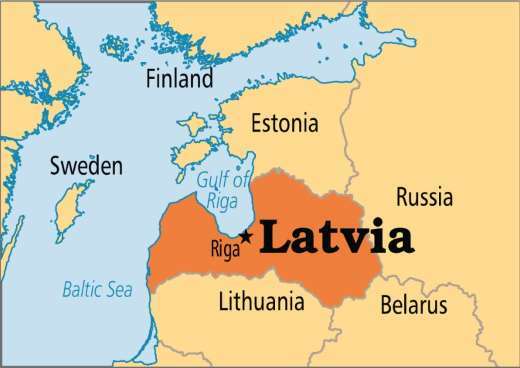 The following year in 1940 the Latvia was incorporated into the U.S.S.R. In the following years, 1941 until 1944 Latvia was occupied by Nazi Germany as well as reoccupied by the Soviets in 1944. When Latvia was occupied by Soviets, Latvian SSR was established that lasted for more than fifty years. Starting in 1987 the peaceful Signing Revolution took place. This revolution called for Baltic countries emancipation of declared Soviet Rule. Eventually, it ended with another declaration is known as Declaration on the Restoration of Latvia introduced on the fourth of May in 1990. In the following year, 1991 Latvia de facto independence was restored precisely on twentieth first of August in 1991. Latvia since its de facto independence restoring is a democratic country that is also part of NATO, the European Union, the United Nations, Council of Europe, OSCE, CBSS, WTO and other major worldwide organizations. Latvia was also listed as 46th country o the Human Development regarding country income. It also should be noted that Latvian lats are replaced by euro on the first of January in 2014. It’s time to get to know the geography of Latvia a little better. Like we mentioned before Latvia is a Baltic country that is located in Northern Europe on the shores of the Baltic Sea as well as northwestern part of Eastern European craton. Countries with which Latvia share boundaries we already mentioned as well as Latvia total area. Also, the total length of a boundary is around 1,866kilometres. It is interesting that most of Latvia’s territory is less than hundred meters above sea level. Latvia largest lake Lubans has an area of eighty kilometers per square. Latvia’s deepest lake Dridzis is around sixty-five meters deep. The longest river that passes Latvian territory is Gauja at four hundred fifty-two kilometers in length. Latvia has a great diversity regarding mountains, lakes, and rivers. Latvia’s highest point is over three hundred ten meters called Gaizinkalns. The total length of Latvian coastline is four hundred ninety-four kilometers. Latvia’s climate is a temperate climate described as oceanic or humid continental climate. Coastal areas of Latvia especially Courland Peninsula possesses more of oceanic climate with milder winters and cooler summers. On the other hand, the eastern parts of Latvia possess more humid continental climate with harsher winters and warmer summers. Latvia also pronounced or four seasons that are equal in length. Most of the Latvia is considered to be moderate hills and lowland plains. In typical landscape vast forests alternate with pastures, farmsteads, and fields. Latvian forests are home to many different animal and plant species. Latvia also has kilometers of seashore that are lined by dunes, pine forests, and beautiful white sand beaches. It should be noted that Latvia had the fifth highest proportion of land that is covered by forests in the European Union after Slovenia Estonia, Sweden, and Finland. In fact, forests cover around fifty-six percentage of total Latvian area. Latvia also has more than twelve thousand rivers that stretch for more than thirty-eight thousand kilometers. Major Latvian rivers are Salaca, Gauja, Daugava River, Venta, and Lielupe. The Salaca river is also largest spawning area for salmon in the Baltics. Latvia also has more two thousand two hundred fifty-six lakes. Mires occupy around nine percent of total Latvian territory. Latvian agricultural areas account more than twenty-nine of total Latvian area. These areas are devoted to farming. Latvia is also rich in national parks, and major parks include Gauja National park since 1973 in Vidzeme, Slitere National Park since 1999 in Kurzeme, Kemeri National Park since 1997 in Zemgale and Razna National Park since 2007 in Latgale. Latvia also has a great and long tradition regarding the conservation. The first conservation regulations and laws were promulgated in late 16th century and throughout the 17th century. In Latvia, there are seven hundred six state-level protected areas including four national parks, forty-two nature parks, a biosphere reserve and other. Latvia also has two hundred sixty nature reserves as well as four strict nature reserves. I Latvia you can visit three hundred fifty-five nature monuments, seven protected marine regions, and twenty-four micro-reserves. These areas that are nationally protected are around twenty percent of total Latvian area. Endangered species of Latvia contain hundred twelve plants species and hundred nineteenth animal species. Latvia’s Red Book containing all Latvian plant and animal endangered species was established in 1977. The most popular sport in Latvia is most definitely ice hockey. Latvia also has one of the most popular hockey players including Karlis Skrastins, Zemgus Girgensosn, Arturs Irbe, Helmut Balderis, Sandis Ozolins and others. These are strongly supported both in NHL play and international play by loyal ice hockey fans. Latvian the strongest ice hockey team is Dinamo Riga. Dinamo Riga is playing in the highest league Kontinental Hockey League. The national tournaments have been held since 1931 named as the Latvian Hockey Higher League. Also, the IIHF World Championship in 2006 was held in the Latvian capital Riga. 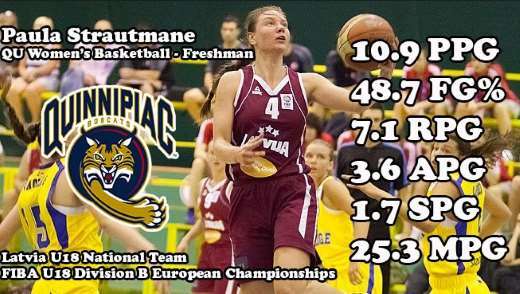 The second most popular sport in Latvia is basketball, and Latvia really has a long and rich basketball tradition. In 1935 Latvian national basketball team won EuroBasket and ever since Latvians are highly ranked in the basketball world. Latvian national basketball team also won a silver medal in 1939 on Eurobasket after losing finals to Lithuania. Latvian basketball stars include Valdis Valters, Janis Krumins, Igors Miglinieks, Gundars Vetra and others. One of the most known Latvian basketball players is definitely Andris Biendrins who has been playing in the NBA as a valuable asset to the NBA team the Golden State Warriors. At some point, he left the Golden State Warriors and had joined Utah Jazz. Current Latvian players who play for the NBA are Davis Bertans and Kristaps Porzingis who play for San Antonio Spurs and New York Knicks. Other popular sports in Latvia include tennis, volleyball, football, floorball, bobsleigh, cycling, skeleton and others. It should be noted that Latvian national football team major participation is that in 2004 of the UEFA European Championship. On the other hand, Latvia has been participating successfully both in Summer and Winter Olympics. The most successful athlete in the Latvian history is most definitely Maris Strombergs participating at Men’s BMX. Maris Strombergs is a two-time Olympic medal winner in his category. Latvian boxer Mairis Briedis recently in 2017 has become WBC cruiserweight world champion, and he is the first and only boxer from Baltic states who hold any of the four major boxing titles. Also recently in 2017 young Latvian tennis player, Jelena Ostapenko won the Roland Garros tournament, so she is the first unseeded player to achieve this.